I recently downloaded the Windows 7 public beta and have been running it under VMWare Fusion on my MacPro. My initial impressions have been largely positive. The interface looks pretty good and responds quickly. I haven't noticed too many compatibility issues but, again, I'm running it under Fusion. One of the best things I've seen was reported on Gizmodo. It's the ability to record screen interactions with a recorder. What the user ends up with is an HTML slideshow of their interactions to send to anyone trying to troubleshoot their issues. I'm currently working on an implementation of Sharepoint and this functionality would be invaluable. I'm surprised more applications haven't built this functionality in for troubleshooting purposes - just the cost savings in support time would offset the development costs. Microsoft seems to be doing some things right lately. 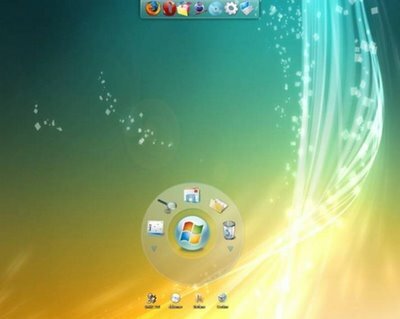 For Windows 7 to succeed where Vista failed, they will need to avoid the early compatibility issues and instill a sense of confidence in the enterprise users. Getting it out in beta seems like a good first step. Apple has the luxury of designing for a finite pool of hardware, so it's possible to test for issues internally. Microsoft has the luxury of being able to fail spectacularly (Windows Me, Vista, Zune, etc.) and be able to absorb the failures in its shear size. But, they will have squandered that luxury if they have two spectacular OS failures in a row.